Our guest speaker at last week's breakfast meeting was dietician, Stephanie Gilroy from Macquarie University. 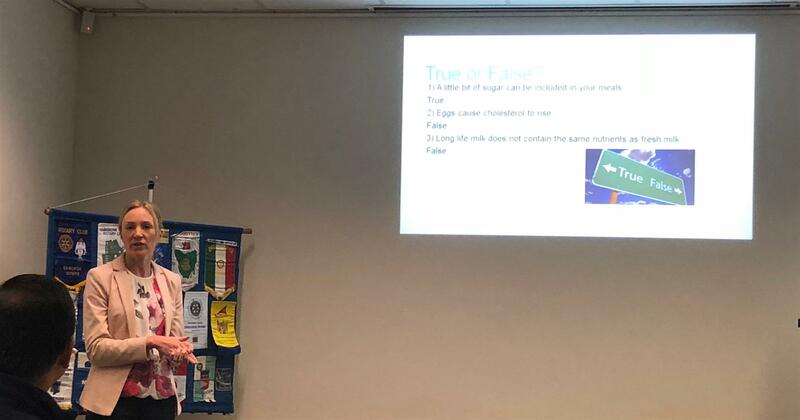 Stehanie's presentation on Healthy Eating provided us with some excellent advice about maintaining a healthy diet and an active lifestyle. You will be pleased to know that Stephanie gave our breakfast a general 'thumbs up'. Stephanie has provided some brochures on Living Well after 65 years, I will have them available at the next club meeting on Friday 3 August for those who would like one. This Friday is a Board meeting at Dunmore Lang College commencing at 7.15a.m.. Members are always welcome to attend the Board meetings which provide an opportunity to hear about the work behind the scenes of our club and future planning. Please let David Martin know by 9 a.m. Wednesday mornings if you wish to do so. I attended the District 9685 President's meeting on Saturday morning at Hornsby RSL. 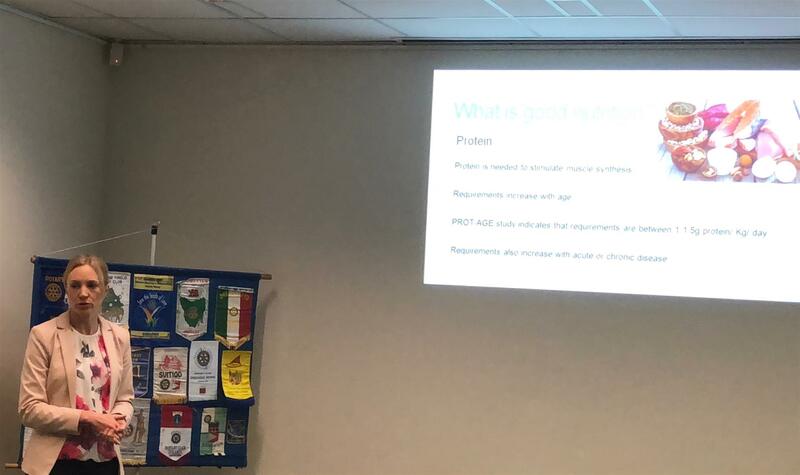 It was a very interesting morning where PDG Peter Ward provided an overview about an opportunity currently being considered for creating a new District with District 9675. DG Susan Wakefield and Barry Edmundson of the Rotary Club of Wahroonga spoke about the District's response to drought relief in NSW (See article below). There were also presentations of two projects we may be interested in supporting Diabetes Alive and Ride the Train to End Polio. I will give more information on these projects at our next meeting. The first seminar on Youth Mental Health was held last Tuesday evening. 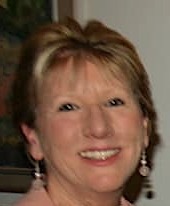 The topic of the seminar was Responding to Eating and Body Image Disorders and was presented by Alexandra Lonergan B.A. (Anthropology); B.SocSci(Pysch); M.ClinPsych(candidate);PhD(candidate). Whilst there were only a small number of attendees, the small group enabled great discussion and opportunity for interaction with Alex.Thank you to Mandy Van and Terrie McConnell who came along to help with registrations and refreshments and to Barb Corapi from the Centre for Emotional Health for organising the seminar. The second free seminar will be held on Wednesday 22 August and the topic will be Nature and Treatment of Adolescent Depression presented by Dr Carolyn Schniering a child psychologist and researcher in the Centre for Emotional Health. To register see here. The first Rotary Carols on The Common Committee meeting will be held on Wednesday evening 8 August at Roseanna Gallo's home 14 Agincourt Rd. Marsfield. 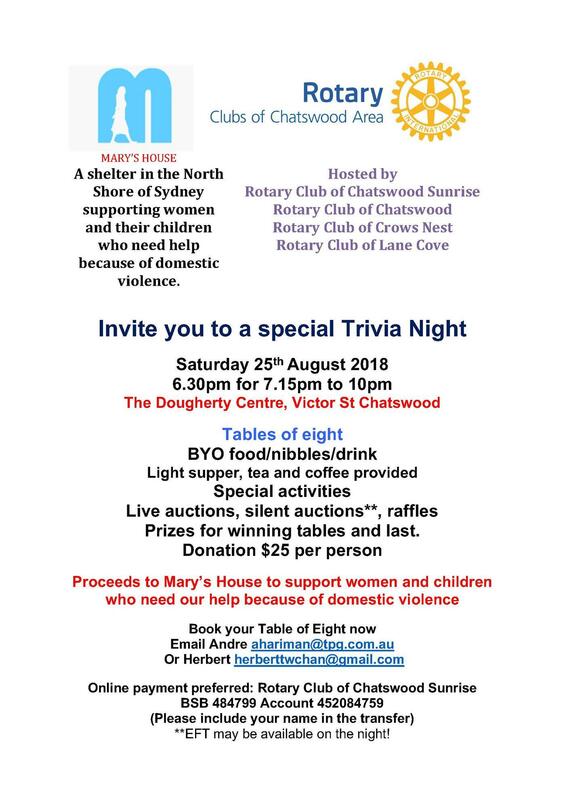 Please let either myself or Victoria Crawford know if you would like to join the committee, it always great to have a few representatives from North Ryde Rotary club at these meetings. We have had another new sponsor come onboard with Timezone Macquarie Centre providing vouchers for prizes. So get your dress up outfits ready and your running shoes on! It should be a great day and we look forward to a successful fundraising event for Youth Mental Health research provided through Australian Rotary Health and the Cool Kids mental health program at the Centre for Emotional Health. The next meeting of the North Ryde Rotary Club Fun Run committee will be held on Tuesday 7 August at Hunters Hill commencing 7.30p.m. and the final meeting with the University contact committee will be Friday 10 June at Robert Menzies College commencing 9.30a.m. Flyers will be ready for distribution at the next Club meeting, volunteers will be needed to distribute the flyers. Our thanks to Konica Minolta for providing the printing. 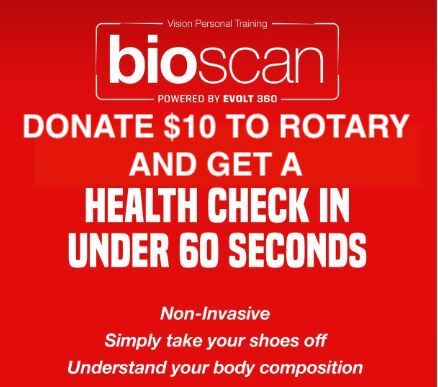 Don't forget the Corporate team prizes provided by Vision Training as well. Encourage your work colleagues to form a team and participate. The North Ryde Fun Run for Youth Mental Health - Register Now! 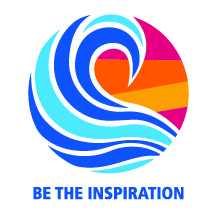 District 9685 has responded to the drought crisis in the rural areas of our state by appointing Rotarian Barry EDMUNDSON of the Rotary Club of Wahroonga to be the District Coordinator for Drought Relief. Barry has been and will continue to be in touch with the Districts most affected by the drought in NSW. Barry will be able to advise clubs that don’t have rural contacts just where their relief can be sent. There are many ways we can support the rural communities and Barry will also have that information. We must remember that along with the farmers and their families, the businesses and schools in the drought affected regions also need support and relief. I have been in contact with the District Governors in country NSW and 2 have responded with information and suggestions on how we can help. 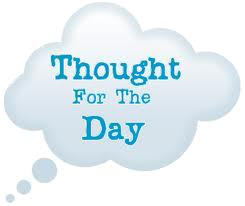 It is important to remember that often times money is the best sort of assistance that we can send. The money can be converted into grocery cards administered by agencies such as The Salvation Army or local Councils. The Rotary Club of Sydney is coordinating the sending of semitrailer loads of stock feed to areas of need. 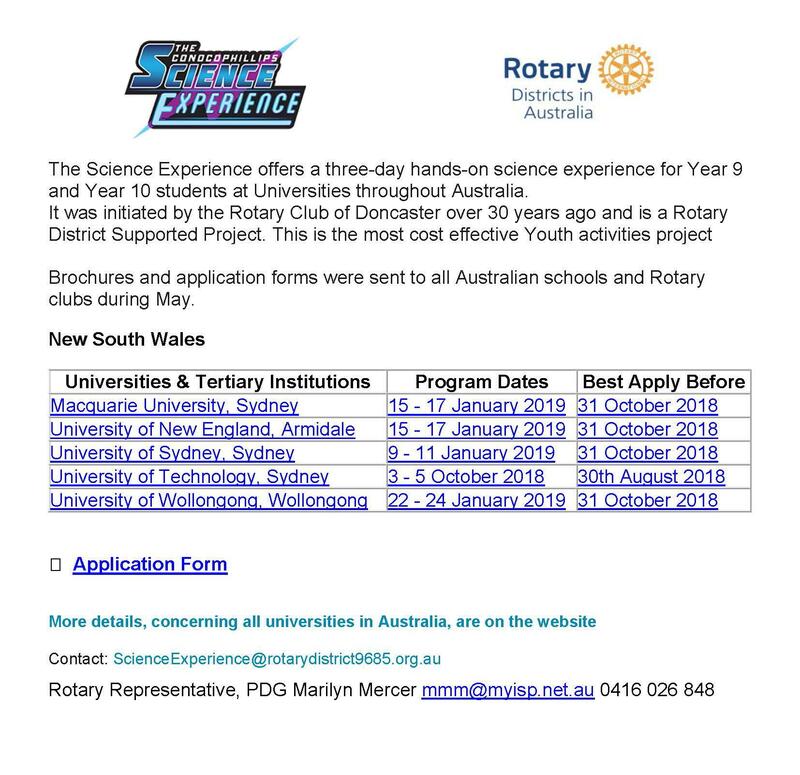 Rotary District 9650 has set up a RAWCS project. That project will be matched dollar for dollar up to $15,000.00. 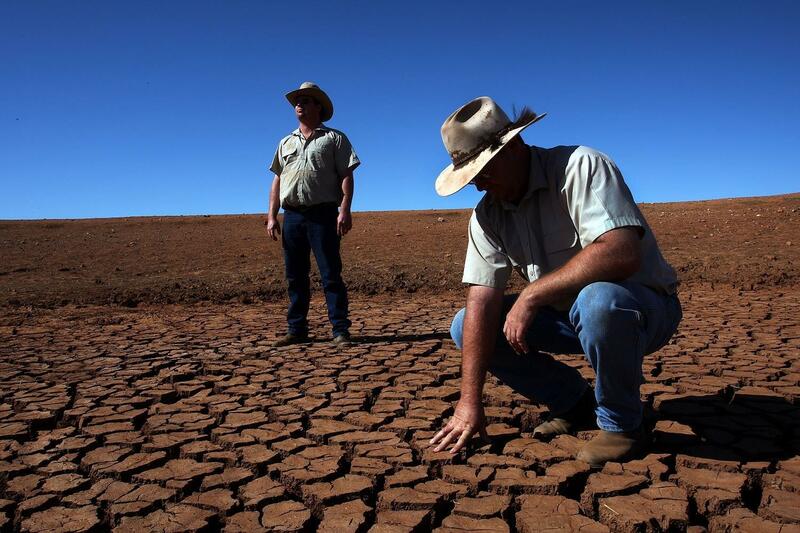 The project is listed on the RAWCS website as “Drought Relief NSW” project number 2-2018-19. Please think about how you and your club or cluster of clubs can help our country communities. From 10am 12 July, to coincide with 100 days to go to the Games, tickets went on sale for the Closing Ceremony, archery, powerlifting and wheelchair tennis. There are also still some tickets available for our first release of sports including athletics, indoor rowing, sitting volleyball, swimming, wheelchair basketball and wheelchair rugby. Further sessions will be released in the coming weeks. Spectators will enjoy free entry for the Jaguar Land Rover Driving Challenge, road cycling and sailing events. Our Invictus Games Sydney 2018 Ticketing Guide has all the details you need. I told myself to stop drinking, but I'm not about to listen to some weirdo who talks to himself!